Black spruce forests. Bright green bogs. A 1.3 billion-acre landscape defined by water and wildlife. Astronauts describe a shimmering blue ripple each morning as the sun rises over the boreal and the region comes alive. People have lived off the natural rhythms of the boreal forest for millennia. The forest remains at the centre of many Indigenous peoples’ way of life. But they’re not the only ones who rely on the mighty boreal and its abundant wetlands. All Canadians benefit from the health and wealth the boreal forest provides. Its wetlands buffer against floods in wet years and droughts in dry years. They lock in carbon that would otherwise add to climate change. They filter an incredible amount of fresh water. Outdoor enthusiasts hunt, fish, paddle, hike and camp in the boreal. Its many communities rely on the forest’s abundant natural resources for their livelihoods. This natural treasure is changing. That’s why we have made boreal conservation one of our top priorities. We all benefit from the boreal forest and its network of wetlands. Forty per cent of North America’s ducks – about 15 million – visit the boreal forest each year to nest and raise their young. 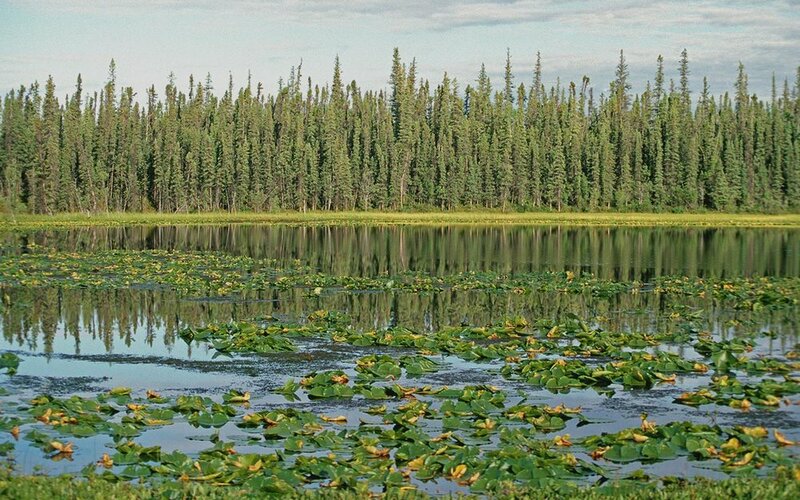 Boreal wetlands filter the largest surface area of freshwater on the planet, trapping sediments and pollutants while supplying clean water for communities. Canada’s boreal forest stores the equivalent of 26 years’ worth of global carbon emissions. Its peatlands lock this carbon underground so it won’t contribute to climate change. Abundant natural resources in the boreal provide livelihoods for northern communities and drive our nation’s economy. Over 600 Indigenous communities call the boreal forest home. For thousands of years, hunting trapping and gathering have been central to their lives and remain an integral part of their culture. Threatened woodland caribou are among the most iconic of the hundreds of species that rely on the boreal forest. Canadians rely on abundant and diverse wildlife for food, medicine and pollination. Boreal activities like hunting, fishing, hiking, birding, camping and paddling are at the heart of our Canadian identity. 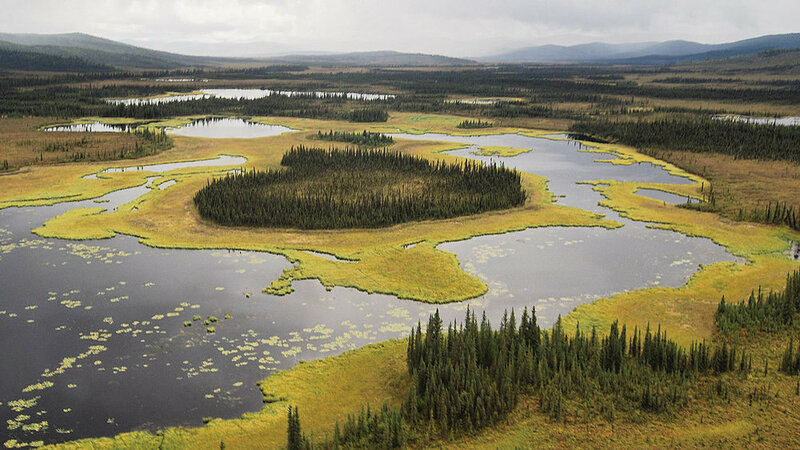 Boreal wetlands hold water in floods and store it in droughts, buffering against the impacts of climate change. Few wild places remain on Earth like Canada’s boreal forest. This makes it the world’s best conservation opportunity. What it needs is a balanced approach. We can get this right. Vast swathes of the boreal forest have seen little to no industrial development. This gives Canadians the chance to set aside areas that are critical to the natural cycles of the region. Interconnected networks of protected areas will give wildlife room to thrive, and people room to enjoy nature in its purest form. Protection is only part of the conservation formula in the boreal. By implementing best management practices, smart land use planning and using the latest conservation tools, companies help manage the region’s resources responsibly. Our goal is to conserve enough boreal habitat to sustain 11 million ducks – 75 per cent of the region’s total population – over the next 10 years. To do this, we need to conserve at least 660 million acres of the best waterfowl habitat in the region. We can’t possibly do it alone. It takes collaboration with a diverse set of partners. We work with governments, Indigenous peoples, scientists, industry and other like-minded organizations to take a balanced approach to conserve the boreal forest. We’re helping to identify areas in need of conservation. Bird surveys and wetland mapping help us make the case for protecting critical waterfowl habitat like the Seal and Knife River Deltas in northern Manitoba. We support industry’s efforts to operate sustainably and foster a culture of conservation. Using our GIS mapping tools and best management practices resources, industry can reduce its impacts on wetlands. We provide support to Indigenous peoples with land use planning processes where there are opportunities and our collective conservation visions align. In places like the Sahtu region of the Northwest Territories, our expertise informs northern communities’ conservation decisions. Almost all of Canada’s boreal forest is publically owned. We work with governments in every province and territory to support wetland policies that help achieve our conservation goals. Our researchers are working hard to fill knowledge gaps in our understanding of the boreal forest. We’re measuring the benefits wetlands provide and learning more about how a changing landscape affects them and the wildlife that use them.